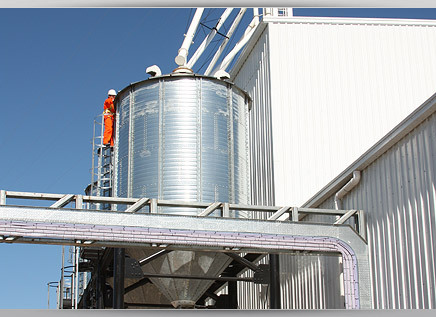 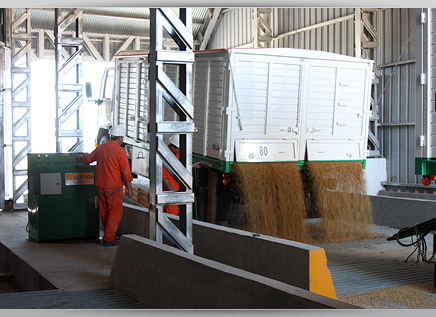 All the production processes that are carried out in the Feedmill are automated, from the reception of Raw Materials right through to the dispatch of the feed. 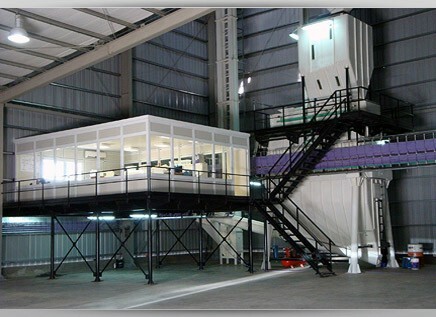 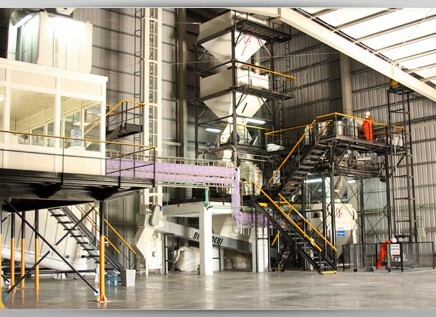 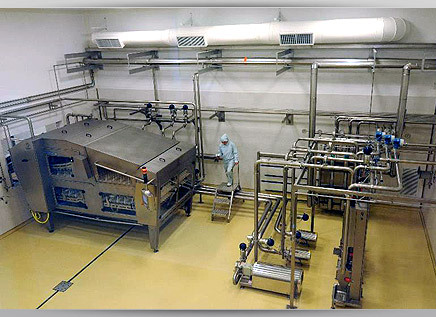 It has a production capacity of 36 t/hour. 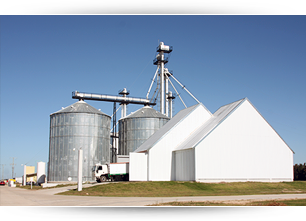 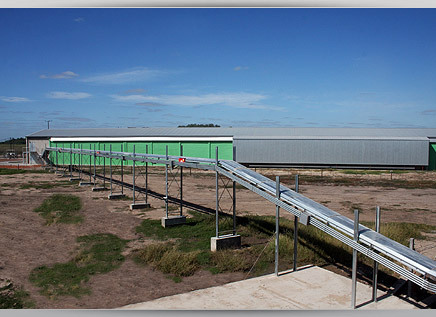 The resulting Poultry feed´s destination is for exclusive company use and it is distributed through the whole company with our own trucks that only circulate within the Company boundaries. 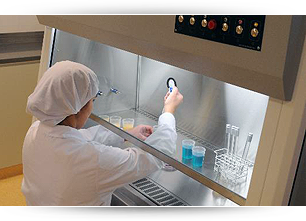 This procedure avoids all risks of cross contamination by contact with other potentially dangerous vehicles in an external road. 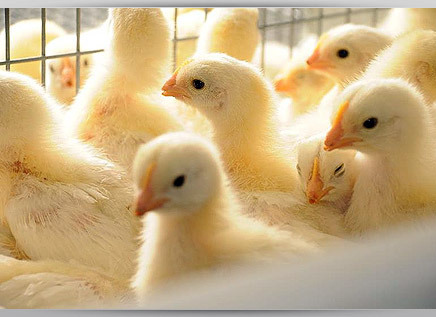 Placed in an isolated area, they are located not less than 5 km (3.2 miles) from any other external poultry producing farms and the distance between each of our own rearing farms is not less than 1000 m (1100 yards) apart from each other. 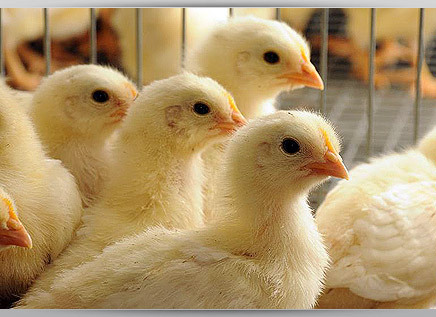 These distances minimize biological risks of cross-vaccination with unsuitable strains for the age of the pullets. 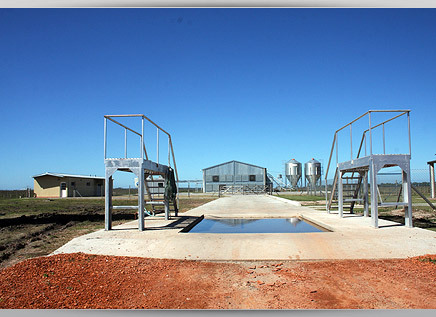 Each farm has its own vehicle disinfection station and another to sanitize all the entering elements. 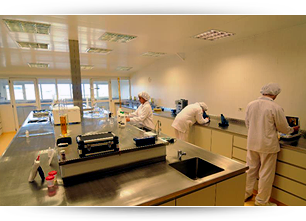 The incoming staff is only allowed in after taking a shower and getting dressed with appropriate clothing, which is sanitized on a daily basis by the Company. 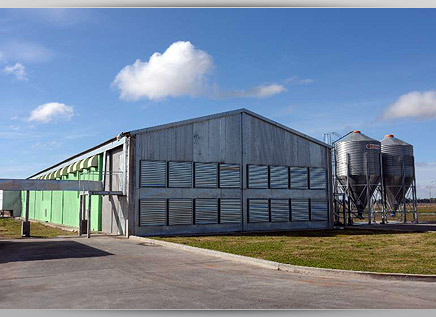 Our Rearing Farms are conceived to reduce possible risks of cross contamination. 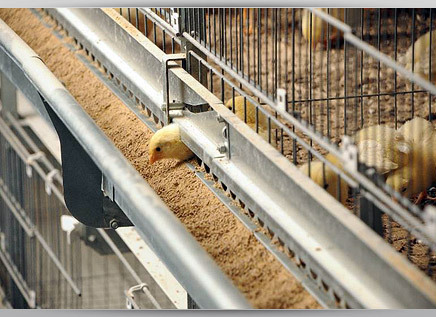 Each house has a capacity of 130,000 BB chicks. 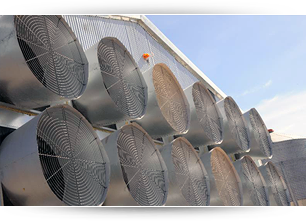 The houses are split longitudinally in two areas, which make it possible to control temperature, ventilation, feeding and lighting independently. 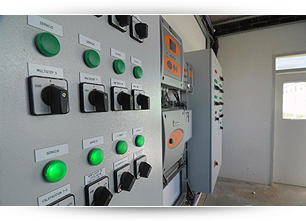 The latter is managed through dimmable lighting equipment that employs a blackout and variable intensity system. 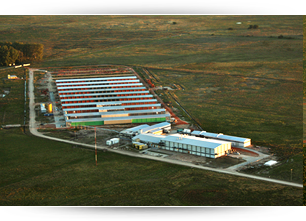 Each core Rearing farm has comfortable living quarters for the farmer in charge. 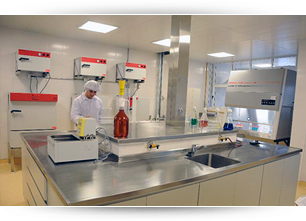 It also has all the necessary equipment needed for exclusive internal use, as well as for vaccination (spray, syringes, etc. 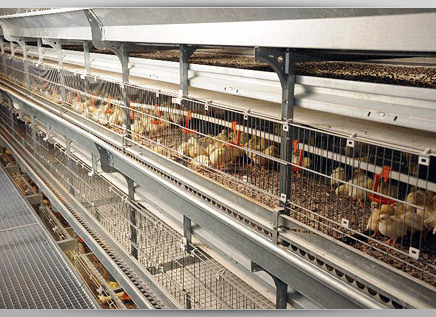 ), bird handling (to transfer pullets to Layers houses), barn cleaning and surrounding areas. 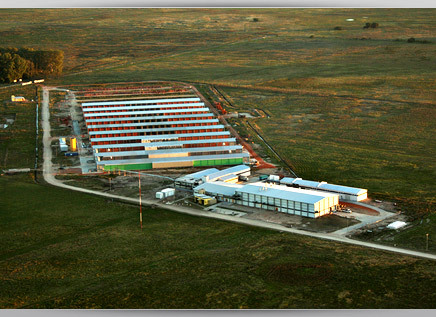 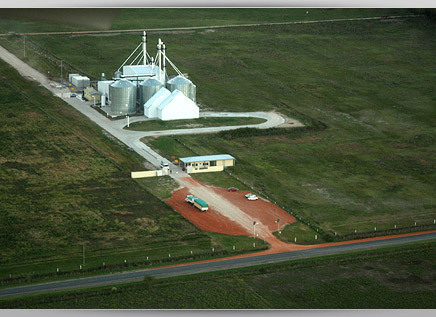 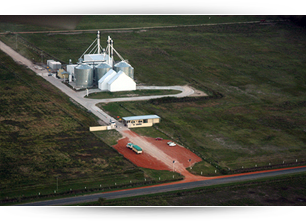 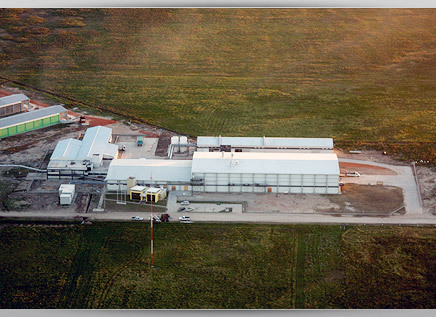 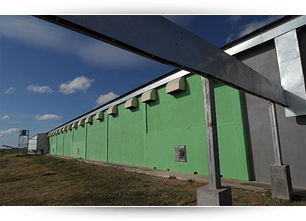 Placed on a Company owned land surface of 1,300 hectares (3,250 acres), with a specific biosecurity system, Ovobrand has generated a unique concept of integration in the country and rare to find worldwide. 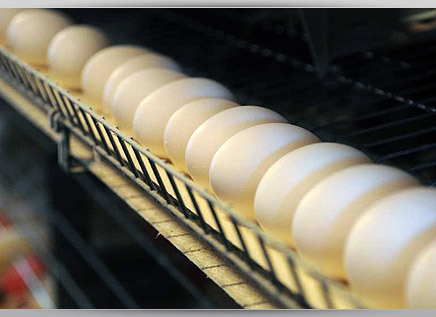 The integration process comprehends from Grain Production, Feedmill Plant, Rearing Farms, Layers Farm, Automatic Eggs Transportation, Egg Transfer Center, Grading Plant, to the Egg Processing Plant. 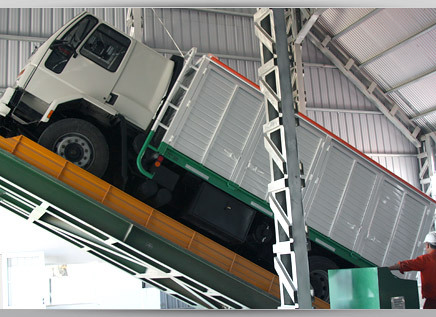 There is a network of 6.5 km (4 miles) of internal roads circulated only by Company owned trucks that do not leave the Company premises. 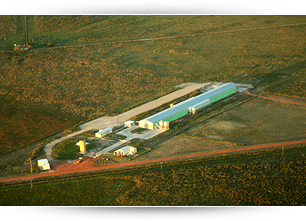 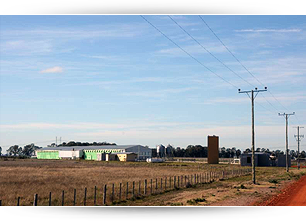 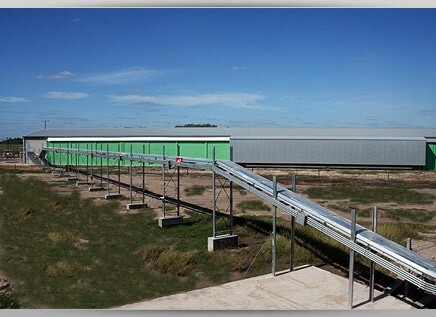 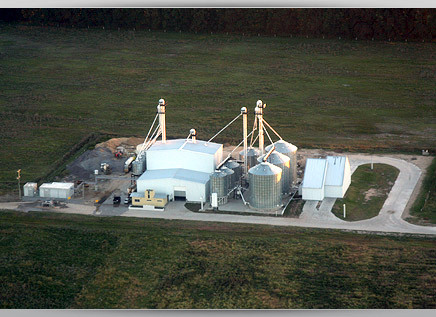 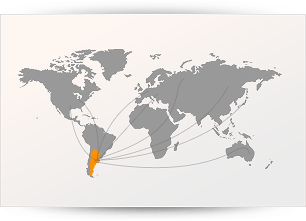 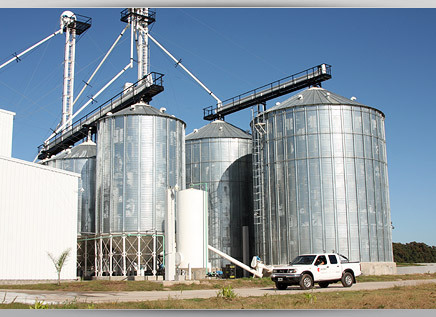 The distances between the Plants and Farms that are part of the integrated process reinforce the biosecurity in the company, which constitutes a unique system of work, processes and infrastructure designed to offer high quality and safety products far above the Egg Products Industry standards. 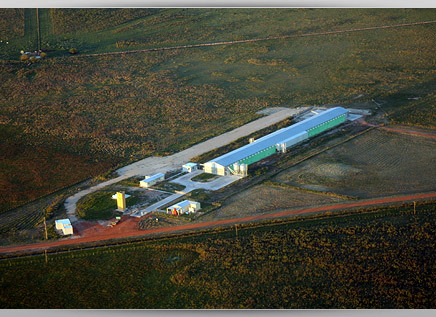 The Layers Farm is separated 2 km (1,3 miles) from our nearest Rearing Farm. 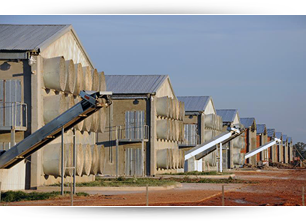 Each Layer house has a capacity for 128,000 birds and it corresponds to one Rearing house, which allows keeping the traceability of the flocks. 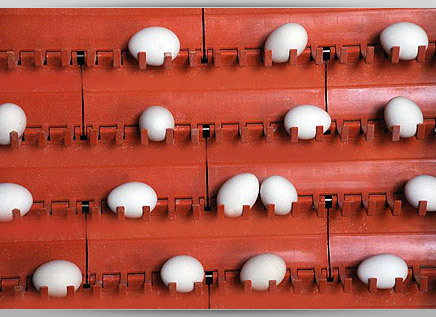 The Layer house has an automated and independent system for the constant control of temperature, food and water consumption, in addition to record the eggs produced by rows through 64 counters in each house. 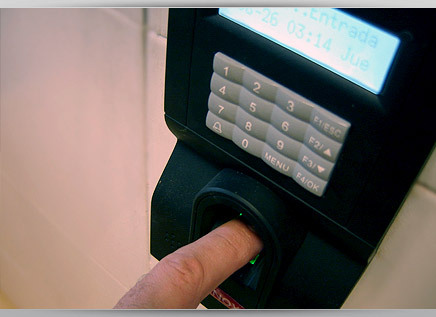 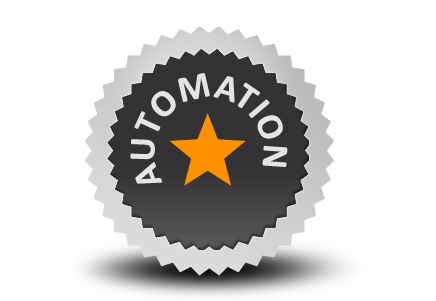 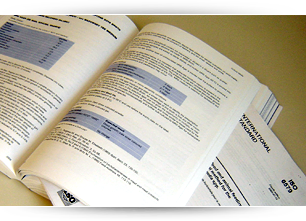 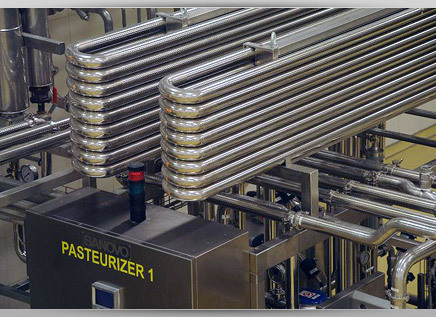 This allows the monitoring of the productive status of the layers. 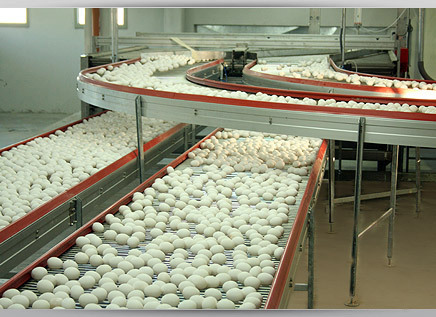 The eggs are sent automatically to the Transfer Center through a chain egg conveyor, by this way under no circumstances will the eggs be manipulated by human hands and they are moved to the Grading Plant and/or to the Egg Processing Plant. 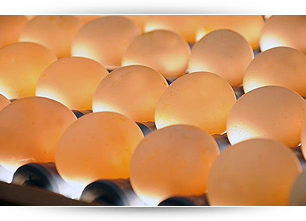 The eggs that come from the houses enter the Grading Plant by means of an automatic Egg conveyor, without anybody touching them. 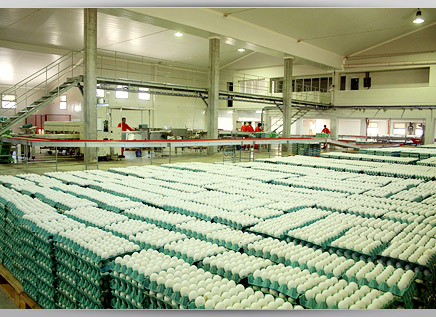 Here they are graded and classified into categories, being that the shell eggs could be sent to the international or domestic customers, according to different market requirements. 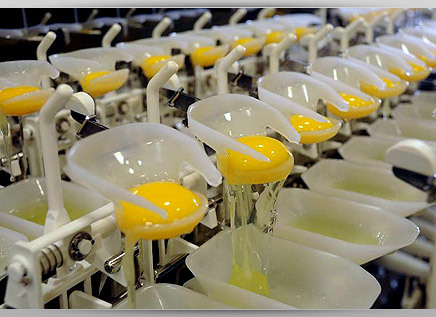 The expectations of innocuousness, functionality and technical support of the Egg Products are fully satisfied. 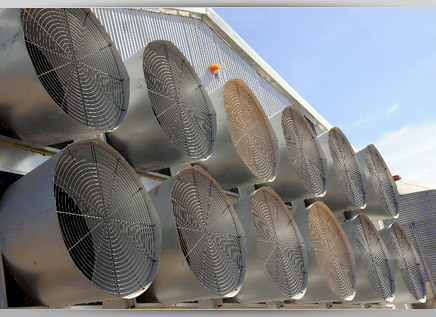 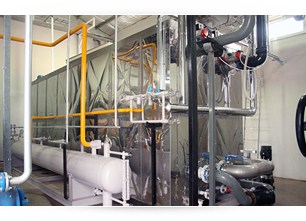 Quality and safety that exceed the industry standards are maintained through time and they are transformed into reliability. 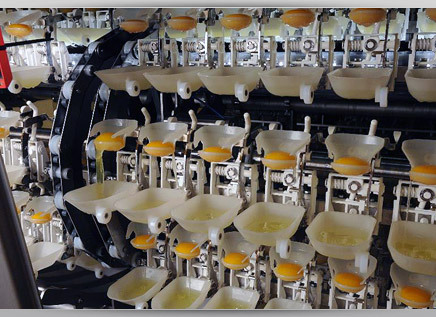 Unique due to its equipment and technology, this is the XXI Century Egg Processing Plant. 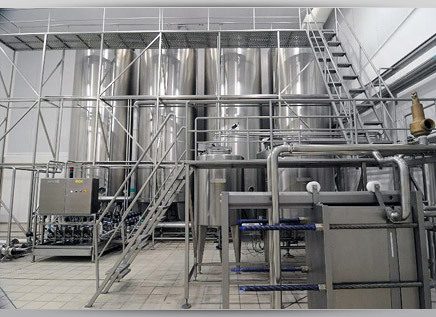 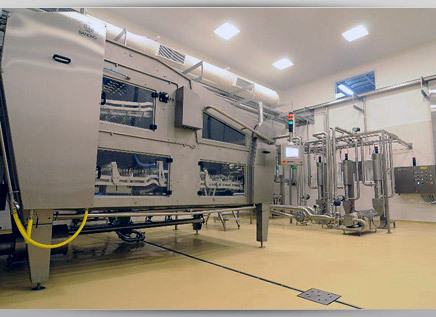 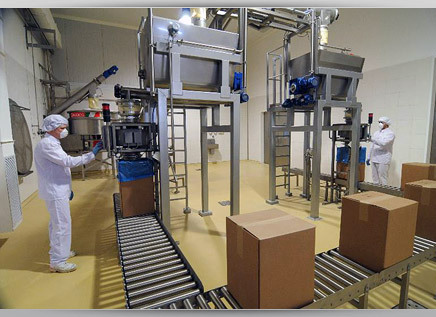 Automated processes, preventive and monitoring possible yolk traces in the egg white by electronic analysis of digital images, pasteurizers according to EU regulations, horizontal box dryers with indirect air heating and Hot Rooms with innovative design that give a homogenous heat treatment to the product, are combined in this unique model plant to give uniformity and safety to each batch produced. 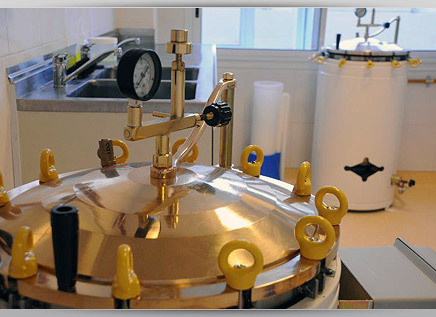 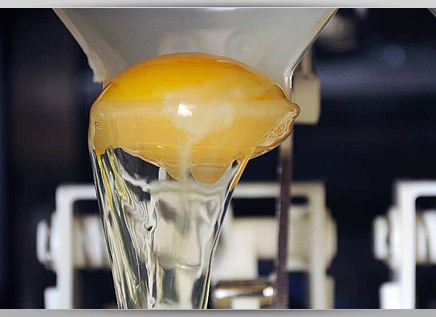 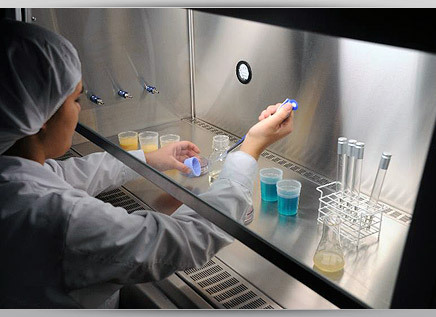 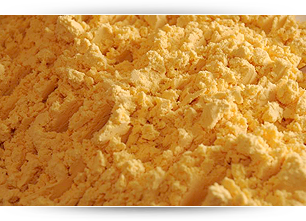 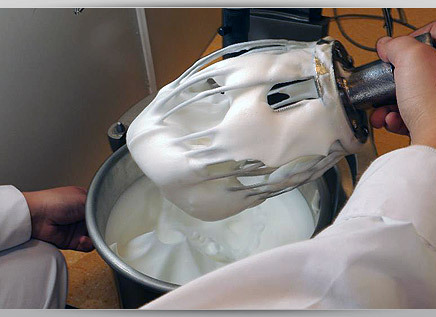 The finished Egg product undergoes strict sensory, functionality, physicochemical and microbiological controls to assure its innocuousness, quality and compliance with the specifications agreed with the clients. 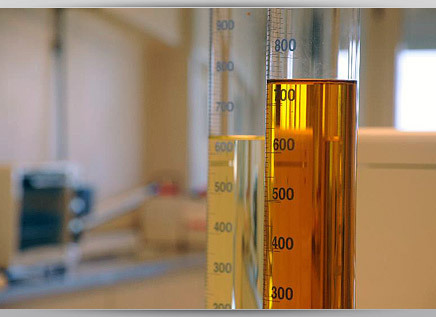 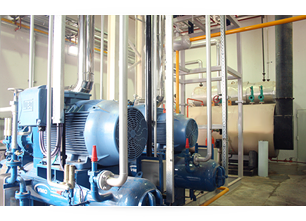 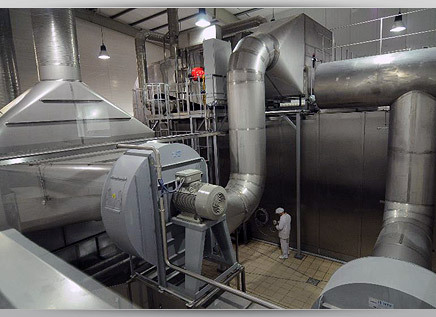 The Processing Plant satisfies all EU rules and sanitary regulations, for the services that supply it (sanitary steam, industrial water, etc.) 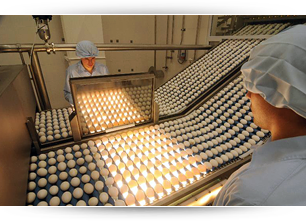 as well as for the Egg Products. 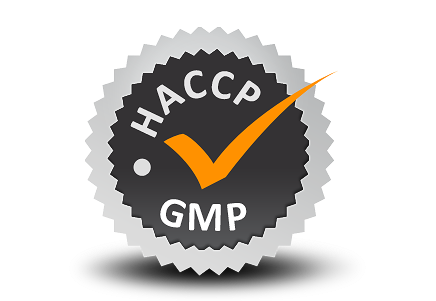 As part of the Good Manufacturing Practices program it executes a robust HACCP plan. 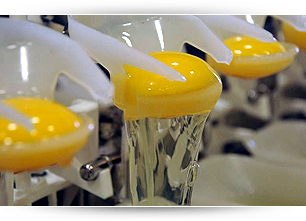 The same dedication and responsibility that guides the production of the Egg products applies to the protection of the environment. 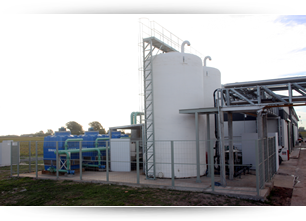 In that sense, all the industrial sewage of the Plant are treated with Dry Artificial Swamps (DAS) technology and can return to the natural watercourses without damaging them. 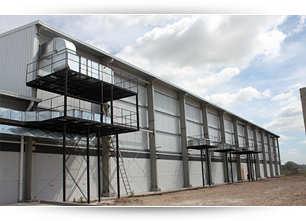 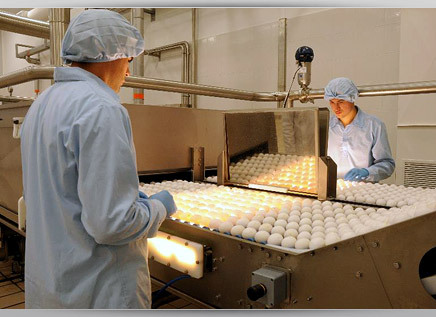 The high degree of the Company’s integration allows identifying and keeping chronologically track of the location and course of each batch of Egg products produced, starting from the Raw Materials received and throughout all the supply and production chain. 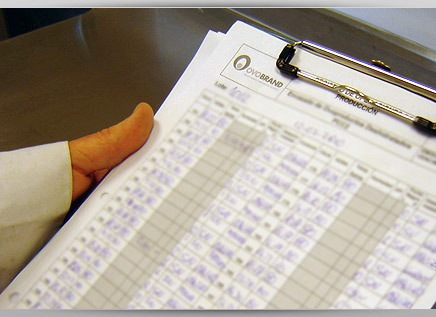 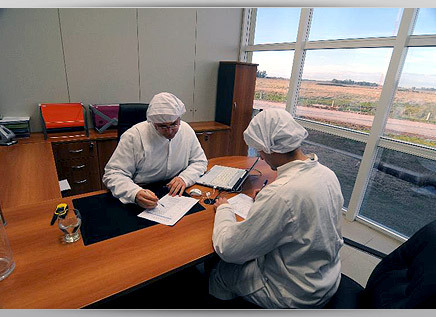 Thus we supervise the complete traceability of our Egg products. 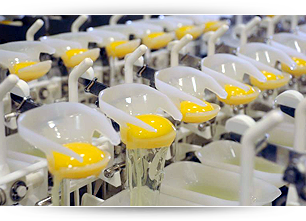 The automation of the processes that is lead by our professionals together with the vertical integration turns us into a highly efficient, flexible and responsive company on the production of quality Egg products. 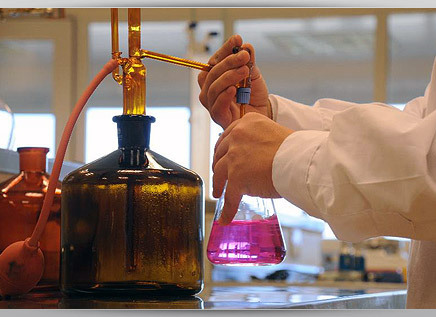 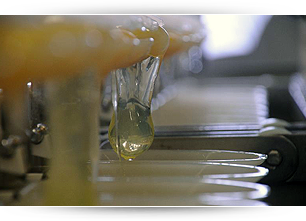 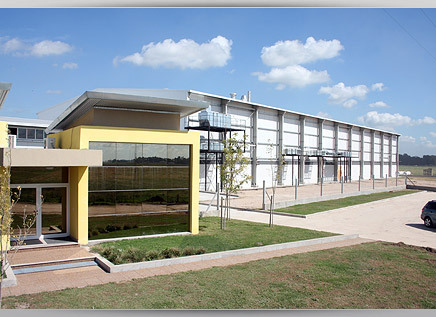 Based on the leadership of a team of excellence that practices and promotes the achievement of the Good Manufacturing Practices, the sanitary pre-requisite of the Argentine Codex Alimentarius and the European Union, Ovobrand S.A. has implemented and certified its HACCP system to guarantee the innocuousness and reliability of its Egg products. 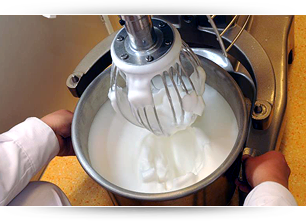 Ovobrand products have Halal and Kosher certification. 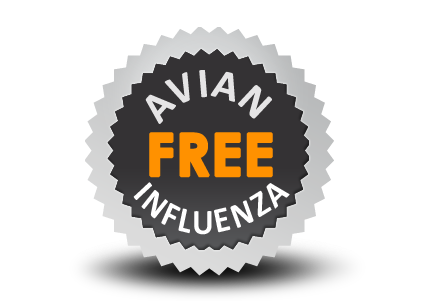 The Argentine territory is free of Avian Influenza, without having developed any focus of this disease throughout all its history. 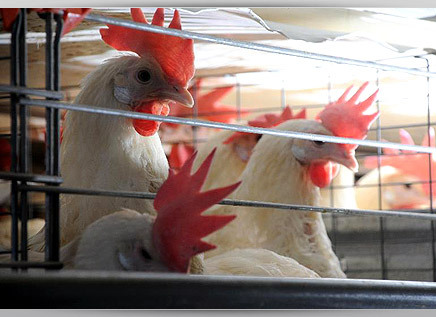 There have been no outbreaks of Newcastle disease for over 25 years, according to OIE reports, Argentina’s sanitary status is one of highest in the world.